Thanks for providing the notes. Looking for design work then visit Engineering Design Work Kennewick Wa who will provide you best design work. How to fill measurements book of dug well? We need the notes of steel structure1. 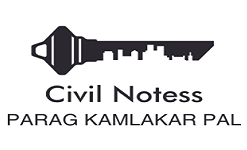 7th sem rcc 2 ka notes send karo plz. .